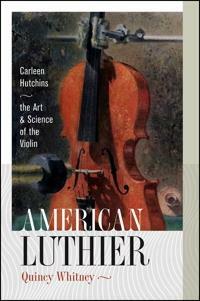 The female pioneer who revoluntionized violin acoustics and built the first violin octet. The most innovative violinmaker of the modern age, she set out to explore two worlds she knew virtually nothing about - violins and acoustical physics. This book chronicles the life of this unsung woman who altered everything in a world that had changed little in three centuries! A great informative enjoyable read.